It's a mobile; it's a wind chime; it's a small flock of birds, gleaming in the sun and turning in the breeze. 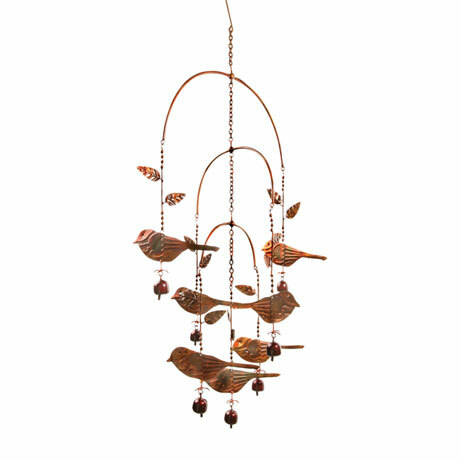 Steel with a flamed copper finish, scattered with leaves and hung with small bells, it's a lovely addition to your garden or porch. 22" wide; hangs 36".